This 53,800 square foot School of Nursing facility is a contemporary work of architecture that was part of a concept design master plan for a state-of-the-art medical teaching and classroom facility in the academic core of the University of Miami campus. 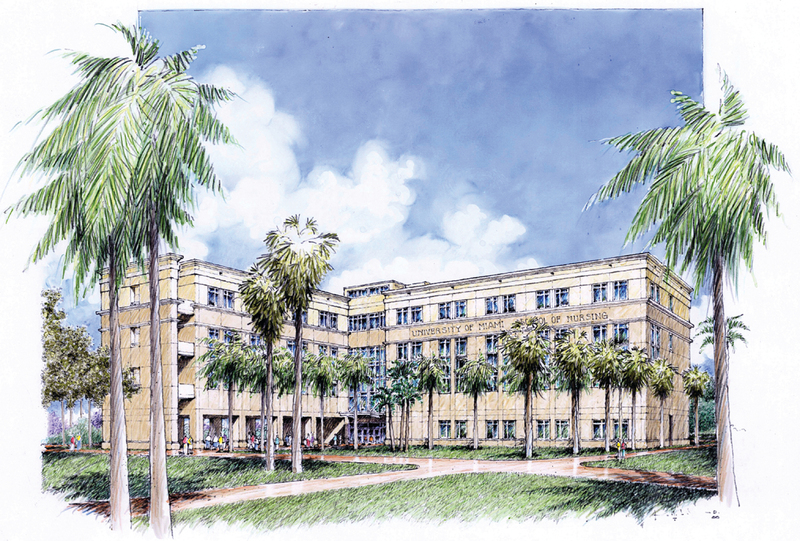 The site, located on the north side of the campus, positions the School as central to the University’s academic mission and will provide the new facility with ready access to both University students and visitors alike. The four-story, “L” shaped structure respects the scale of the adjacent buildings and creates an aesthetically pleasing environment on the north side of the campus. The ground floor of the west leg takes the form of an open loggia, which in the initial phase, is designed to serve as a student common. In Phase II, the loggia is designed to be converted into a 150 seat auditorium.